It has been a difficult year for some companies, particularly department stores, electronics retailers and apparel-centric shopping mall mainstays. GOBankingRates looked at the biggest store closings of 2017 so far, using data released in August 2017 and compiled by IHL Group. Many of the store closings reveal the headwinds some companies face in an age dominated by e-commerce and fast fashion. Keep reading to see which retailers closed the most stores in 2017. The mid-market department store chain JCPenney had one of the biggest companywide layoffs in the last 15 years. And, it has closed 138 stores in 2017, according to the IHL Group report. JCPenney has been forced to downsize its retail footprint in part because of the increasing consumer preference for online shopping. The company also cited difficulties due to competition from fast-fashion retailers like H&M and discount designer retailers like T.J.Maxx. Another department store that had a large layoff about 15 years ago, Kmart — which is owned by Sears — has shuttered 156 stores in 2017 to date, according to the report. Like many other department stores, the chain has been affected by competition from online retailers, especially Amazon and Walmart. Colorado-based shoe company Crocs, which is famous for its brightly colored plastic clogs, has closed 160 stores in 2017, according to the report. Sales have been falling for several quarters. This is partly due to the decline of Crocs as a fashion statement, despite its enduring popularity with restaurant and hospital staff, an analyst from investment bank CL King & Associates told the New York Post. The fast fashion chain Wet Seal has closed 171 stores in 2017, according to the report. It might not be a large number compared to others on this list, but those 171 stores were Wet Seal's last. The company announced in January that it could not find the funding it needed and would "receive no further financing for its operations." Once a mainstay of malls across the country, the company struggled to find its footing and niche in an increasingly digital retail landscape. Children's clothing store The Children's Place has closed 172 stores in 2017 so far, according to the report. The company's CEO, Jane Elfers, said in July that the moves to shutter stores were part of a broader strategy for the company to move from a mall-based presence to an online marketplace, based on ever-growing consumer demand for digital options. Mid-market clothing retailer Bebe has closed 180 stores in 2017, according to the report. Like Wet Seal, this figure represented all of its remaining stores. The chain found it too difficult to compete with online retail platforms like Amazon, and with fast fashion companies like H&M and Zara. Bebe now exists solely online. The Texas-based retailer of new and used video games has closed 190 stores so far in 2017, found the report. GameStop CEO Paul Raines told CNN Money that the core issue causing the store closures was a decline in video game sales. Raines attributed the sales slump to the fact that the major video game companies haven't updated their consoles in longer than usual. Once considered a cutting-edge way to shop, department store giant Sears has closed 202 stores since the beginning of 2017, according to the report. Company CEO Edward S. Lampert explained the closures as an attempt to focus on only the most profitable stores. Shuttering stores would help keep Sears competitive by "optimizing our square footprint," he said. Furniture, appliance and electronics retailer hhgregg closed all 220 of its remaining stores in 2017. Despite its $834.6 million market cap in 2010, the retailer was unable to compete with online purveyors like Amazon. Its plans to become a national chain rather than a local one never came to fruition. However, the company was under new ownership as of August 2017, according to its website. Family Christian, which described itself as the "world's largest retailer of Christian-themed merchandise," closed its last 240 stores in 2017. The company filed for Chapter 11 bankruptcy protection in 2015, citing competition from online retailers. "We were not able to get the pricing and terms we needed from our vendors to successfully compete in the market," company president Chuck Bengochea told USA Today in February. Fashion retailer the Limited shuttered its last 250 stores in 2017. The company, which had brick-and-mortar locations in shopping malls, struggled to compete in a retail environment shifting away from malls and increasingly online, and to retain consumer interest. Although no brick-and-mortar stores remain, the Limited's clothing is still available online. Children's apparel chain Gymboree has closed 350 stores so far in 2017 in an effort to restructure its business and leave Chapter 11 bankruptcy protection. The company has struggled in a retail environment in which shoppers have preferred to shop online, as well as with retail stores like Target and Kohl's, which have offered more children's clothing options in recent years. Retail conglomerate Ascena Retail Group — which owns Ann Taylor, Dress Barn, Loft and Lane Bryant, among other brands — has closed 400 stores so far in 2017. CEO David Jaffe explained the closures as part of a response to "persistent traffic decline," which he did not anticipate would change in the foreseeable future, according to CNN. Teen fashion retailer rue21 has closed 400 stores in 2017, according to the report. The company faces many of the same challenges other shopping mall mainstays are facing, such as declining foot traffic and a preference for online shopping. Although rue21 has competition from fast fashion behemoths like H&M and Forever 21, the company does have a potential advantage in its offering of more plus-size options than those chains. Payless ShoeSource has closed 700 stores in 2017, which helped the company emerge relatively quickly from bankruptcy protection. The company, which relies primarily on brick-and-mortar sales, said its strategy includes expanding its presence in overseas markets and continuing to operate an e-commerce store, USA Today reported. With 1,000 store closings in 2017 so far, RadioShack is a greatly diminished presence from its once-dominant perch atop the heap of electronics industry retailers. 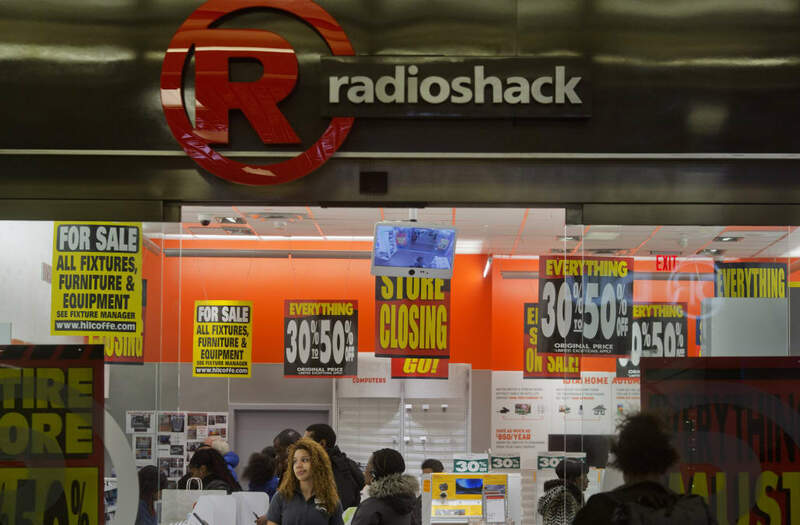 While the company once boasted a store within 3 miles of over 95 percent of American households, RadioShack has been battered by consumers' increasing preference for online electronics shopping. All store closing data in this article was drawn from Statista/IHL Group.